In 2009, I started building WordPress websites professionally. I was very fortunate to purchase a package of Genesis Themes. I say I was fortunate for three main reasons. Firstly because it was excellently coded. 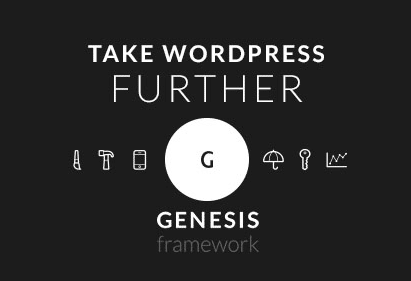 Secondly, the WordPress Themes on the framework was incredibly well-supported. Thirdly, the focus of the web design was based from the beginning on sound marketing strategies. I have been working with the Genesis for almost 10 years. Sustainability: Updates for security and for changes in WordPress can be done without affecting the design of the site. This means you can update without having the expense of digging into the code or losing any customisations which are in the “child theme”. The framework is consistently updated to reflect best practices for coding and has always had a focus on security. Consequently, I can almost always update to the latest version without any problems. Flexibility: Genesis provides an excellent foundation and enables the development of additional functionality. There is nothing worse than having developed a website only to find out that you have hit a brick wall when you want to take it to the next level. Genesis has a lot of features which you can turn on or off. Functionality: There is a great deal of customisation information, technical information and available dedicated plugins just for the framework. My clients over the years have either chosen a suitable child theme (see below) which I have customised to their need or I have created a unique child theme to their design. There are lots of child themes to choose from. Here are some places to find Genesis Child Themes online (many of them offer me a developer discount so ask before purchasing. All of the following WordPress Theme are Mobile Responsive. If there is nothing you like, we very happy do a custom design child theme just for you. Firstly: Make a copy of the woocommerce.css file, rename it style.css and place it in your child theme’s woocommerce folder, and make all your edits in this file. Over the years, I have steered away from page builders because as a rule, they have created a lot of “bloat”. They added a great deal of unnecessary code, make websites very slow, and required almost starting again when changing the theme. I have one exception: Beaver Builder. Beaver Builder is compatible with the Genesis Framework. When you turn it off, you do not end up with a mess of shortcodes. It is the only page builder I recommend. You will find some tutorials on my site especially for Genesis. I offer WordPress Services for your WordPress Website.